In honor of Women’s History Month, explore is celebrating those extraordinary individuals devoted to acting selflessly for the sake of others. Today we feature Shari Duval, founder of K9s for Warriors, a hero saving America’s military heroes. Shari started the nonprofit organization K9s For Warriors after her son, Brett, came home from Iraq with PTSD. She was desperate to find a way to get him back. For Shari, the answer was clear as day: dogs. Because Brett was a police and civilian dog-handler, Shari believed she could bring her beloved son back through starting a charity that trains service dogs for PTSD veterans. Soon thereafter, K9s For Warriors was born. Shari worked diligently to find funding and supporters for the organization. In the beginning, success didn’t just fall into Shari’s grasp; she fought hard as she chased her dream to help save veteran lives. With just the help of Brett and a few family members, Shari worked long hours to take care of both the program veterans and dogs. 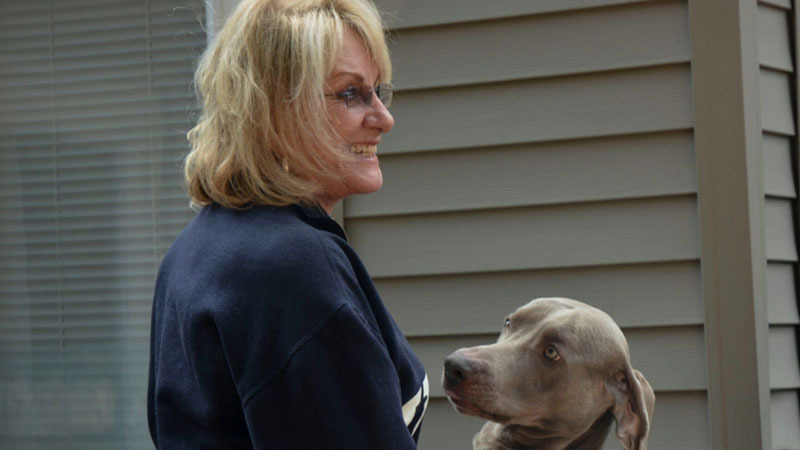 Because of Shari, K9s For Warriors has grown into a thriving national nonprofit. The mission of K9s is to train loving service dogs and pair them with post 9/11 veterans afflicted with PTSD, TBI, or MST. Having a K9s For Warriors’ service dog helps these veterans reintegrate back into civilian life. Ninety-five percent of the dogs used in the program are rescued, extending the amount of lives saved beyond that of veterans. To-date, there have been 213 warrior-service dog graduates with a 100% suicide prevention rate. Under Shari’s leadership, the organization has grown from operating out of a small residential home to a 17,000 square foot facility. Many people claim that they look after veterans – Shari really does. She not only advocates for them, but she truly loves them. She is known as “Mom” to every veteran that walks through the doors of the K9s For Warriors program. There are 22 veterans a day that are taking their lives because they have exhausted every avenue trying to recover their minds, bodies, and souls from the grim details of combat. Shari’s goal is to put an end to this heart-wrenching statistic and to ensure that our veterans receive dignity, respect, and proper care.